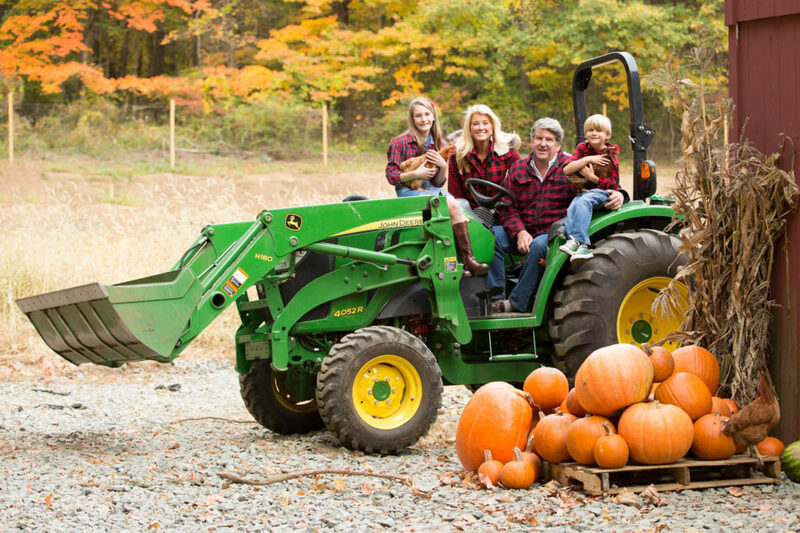 In November 2014, The Charney Family—looking for land to build their home on—purchased the nearly 9 acres of land at 360-366 Mine Hill Rd., Fairfield, CT. Although the property allowed for a subdivision with up to four homes, the Charney Family saw an opportunity to build a small family farm on the excess land and raise their two children surrounded by plants, animals and an orchard. In the Spring of 2015, with permission from the town, they cleared the excess land and planted their first ground crops, 150 apple trees and purchased chickens. Both Olivia and Felix joined the CT Farm Bureau, began to attend lectures and seminars produced by the US Department of Agricultural, and The University of CT Agricultural School. With help and support and their new educational resources, Little River Farm has expanded to 250 Apple Trees, Pear and Peach Trees, Egg production from 200 Hens, Plantings of 21 ground crops including: Beans, Blueberries, Broccoli, Cabbage, Carrots, Corn, Cucumbers, Garlic, Kale, Flowers, Lettuce, Onions, Peas, Peppers, Potatoes, Pumpkins, Spinach, Strawberries, Squash, Tomatoes and Watermelon. Produce is sold in season at a farm stand Olivia designed on site and at area farmers’ markets and local stores. Check our Facebook page for the most up to date information of where to find our delicious fruits and veggies!